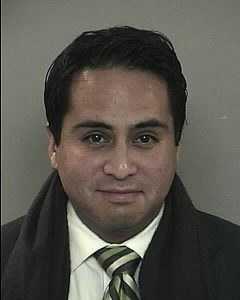 Pabon is all smirks in his mug shot. Where’s the remorse? Granted the Denver Post is not as liberal as it used to be, but it still favors the left side of the aisle. That’s why last night’s editorial page piece asking for the resignation of Rep. Dan Pabon is so damning. As we highlighted yesterday, not only did Pabon try to get out of his DUI arrest on St. Patrick’s Day, but he actually tried to use his elected position – and any theoretical power that conveys – to pressure his arresting officer into letting him off the hook. The arresting officer graciously declined. Pabon and the Democratic Party certainly have some soul searching to do, but if you’ve lost the Post, you’re in deep trouble.